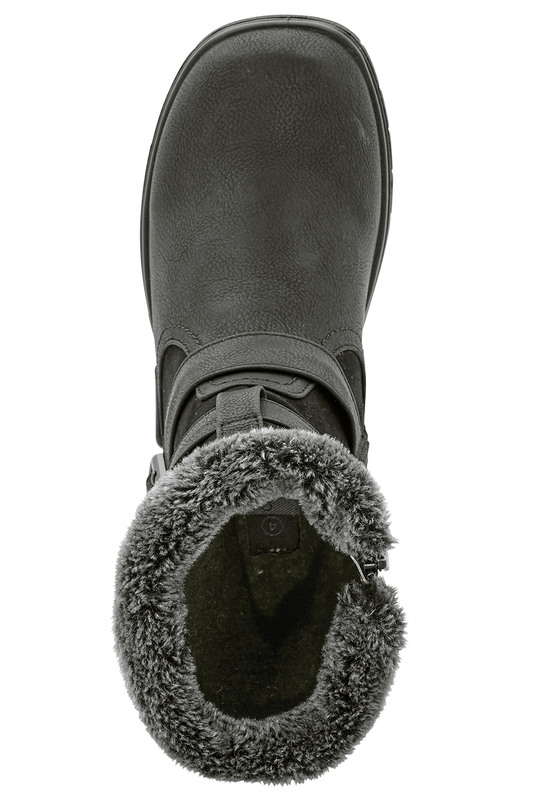 Step into these Cushion Walk ankle boots when the weather turns cold. 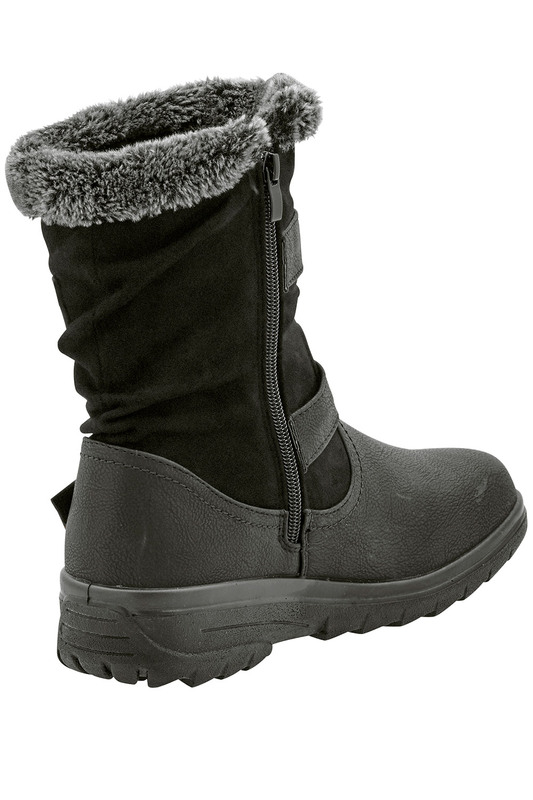 They have a warm sock lining and faux fur trim to keep you warm on chilly days. 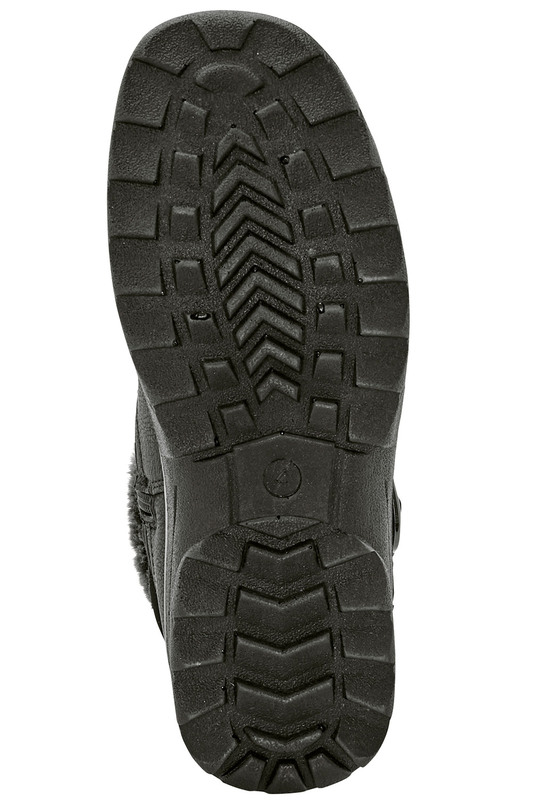 The lightweight outsole and 4cm heel make them easy to walk in. 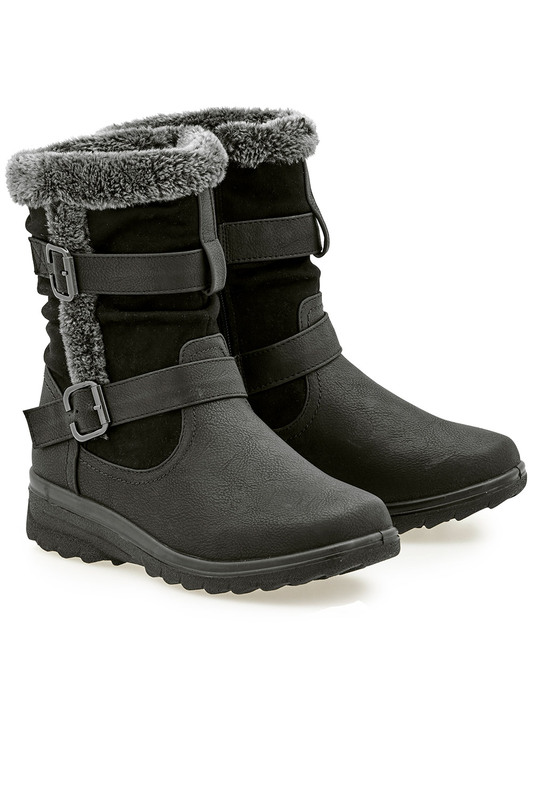 Plus, they have an anti-slip sole that is perfect for winter weather. 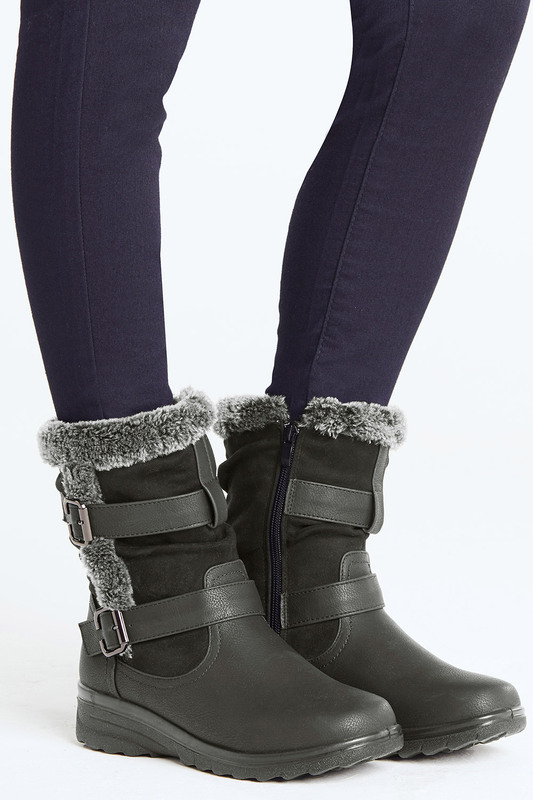 A buckle detail gives them a smart finish.